Pi (Greek letter “π”) is the symbol used in mathematics to represent a constant — the ratio of the circumference of a circle to its diameter — which is about 3.14159 regardless of the size of the circle. 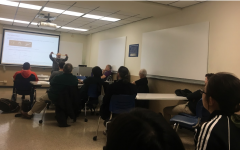 Dr. Nabil Kahouadji explained that not only is pi a constant for all circles, but it is also an irrational and transcendental number, making it very special. This means that it will continue infinitely without repetition or pattern past the traditional 3.14 that we all know and love associating it with Pi Day. 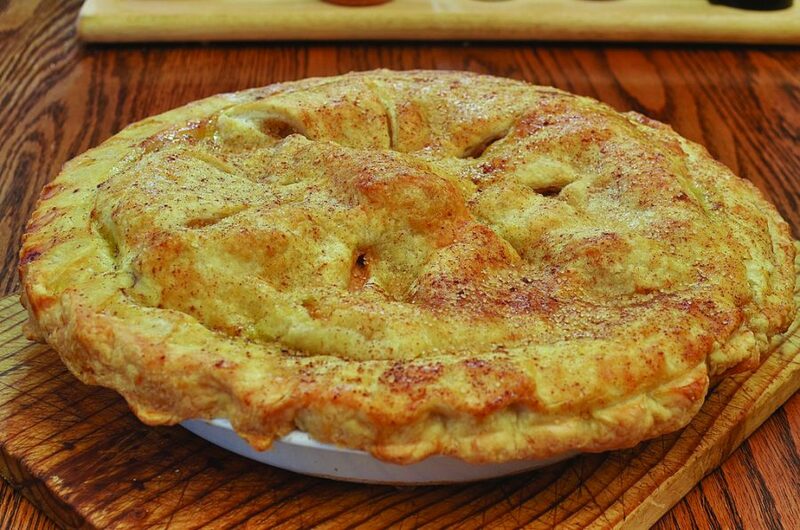 Every March 14, math enthusiasts come together and enjoy pie. 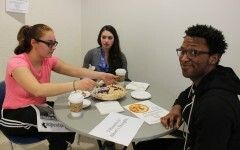 At NEIU, Dr. Katherine Bird and Dr. Shan Wang invited the community to celebrate Pi with the math department by eating pie and playing math games. The cherry, blueberry and apple pies were successfully devoured and math games were played for the chance to win a gift card to Jewel-Osco. At first glance the math game seemed simple. Starting with number A, each person will have five seconds to add number B to the previous number. If you were too slow or got the number wrong, you were out, and the last one standing would get the gift card. Under pressure and without a calculator, this got difficult quickly when the numbers got in the hundreds. One round had them start at 78 and add 26 per person. Calculator please! When asked “Why pi?”Wang responded that pi helps us to learn about the circle, which is a very important shape.. Bird said that she loved how, around 250 B.C., Archimedes approximated the number pi by using geometry since algebra and trigonometry were unknown more than 2,000 years ago. Still, even as the digits of pi go into the trillions, we cannot calculate pi exactly, only approximate it. 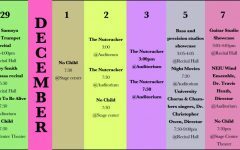 Pi’s infinite nature makes it a fun challenge for people to memorize. Just to give you a visual for how powerful Pi is, these are the First 1000 digits of pi shown below.